Interested in Becoming a Foster "Mom" or "Dad?" Foster families are the backbone of Chances Angel Rescue -- without them, we couldn't do what we do. Do you have room in your heart and home for a homeless dog? 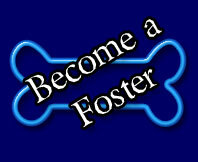 Chances Angel Rescue is in need of foster parents year round! In addition to rescuing animals that are homeless, needy, and abandoned, we also rescue many animals from the high kill shelters. These PRECIOUS animals are placed into temporary homes so they can receive the veterinary care, socialization, love and nourishment while waiting to find their forever home. We accept only dogs that are capable to live in a multi-dog household, (they must be dog friendly). Complete foster application and we do a home visit. "The need for foster parents is always there. The more volunteers we receive the more animals we can save. " All current personal dogs must be spayed/neutered, up to date on vaccinations, and heart worm prevention. Be willing to care and provide a safe, nurturing home until the dog is placed. Taking foster dog to and from vet appointments. 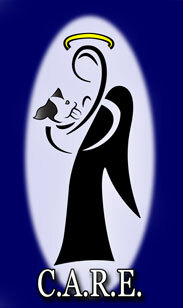 We use Roxboro Animal Hospital located at 585 Patterson Drive, Roxboro, NC. Allowing your foster pet to be a temporary part of your family, crate training and/or house training, administering medication as needed. Providing pictures and bio for your foster dog. We have a volunteer that will take pictures if needed. How long do you normally foster the dog? Most dogs are usually placed within 2-4 weeks, however sometimes it may take longer, depending on the health status of the dog you are fostering. 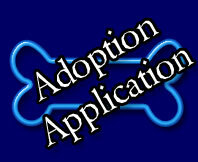 Chances Angel Rescue covers the expenses needed to care for the foster animals. This includes all vet care, food, and crates when available. However, any of the materials that you can provide will help offset costs and will go a long way to saving more animals. We are a 501c3 organization and will provide tax deductible receipts for expenses incurred, if any.